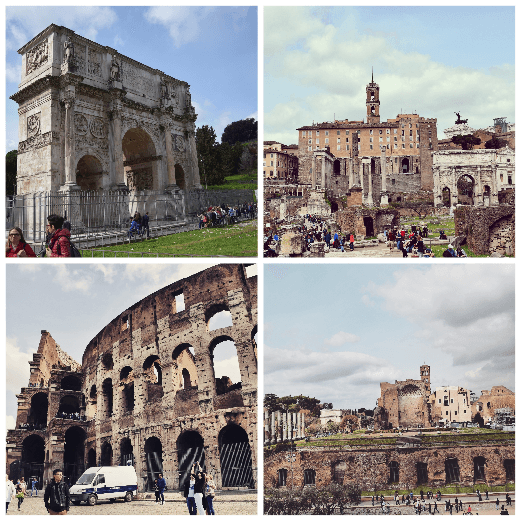 Rome is the capital of Italy. The architect of the city is one the best in the world. Its culturally rich and historically important city. You can witness the influential art of the city everywhere. Its one of the most visited city in the world. Rome is well connected to all major cities in the world by air. If you are visiting from nearby European countries Rome has an efficient Rail Network. 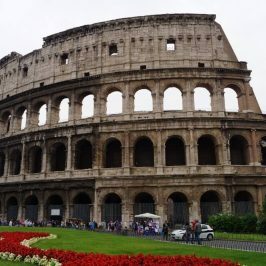 One can always find great deals and discounts with all major airlines as Rome is an important tourist Destination. We traveled from Bangkok to Rome and chose Emirates Airlines. 1) The fastest way is to use Leonardo express train. Its a Non Stop train Service which takes around 30 minutes to reach Roma Termini Station. Train station is connected from inside of Airport. Cost is 14 Euro per person. 2)Taxi starts at 48 Euro. Just look for ‘SPQR’ painted on doors. 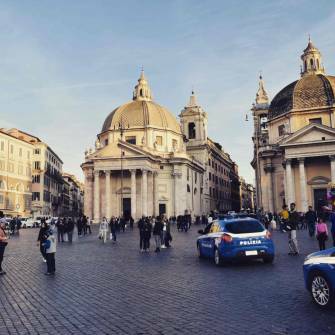 This specify taxi is licensed under city of Rome and takes fixed fare. 3) Cheapest option is Bus which you can get just outside of the Airport at 6 Euro per person.Just look for the booth of T.A.M, Terravision or SIT, which are located on the right hand side when you come out of airport. There are buses leaving every half an hour. We choose the bus option. It was cheap and easy to buy tickets at the counter. It took around 50 minutes to reach Roma Termini Station. Choice of stay depends on the budget and proximity to nearby attractions. 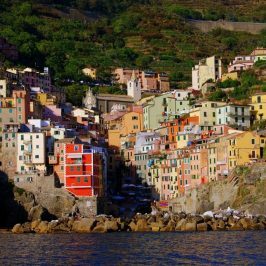 Rome has various neighborhoods where one can stay according to his choices. 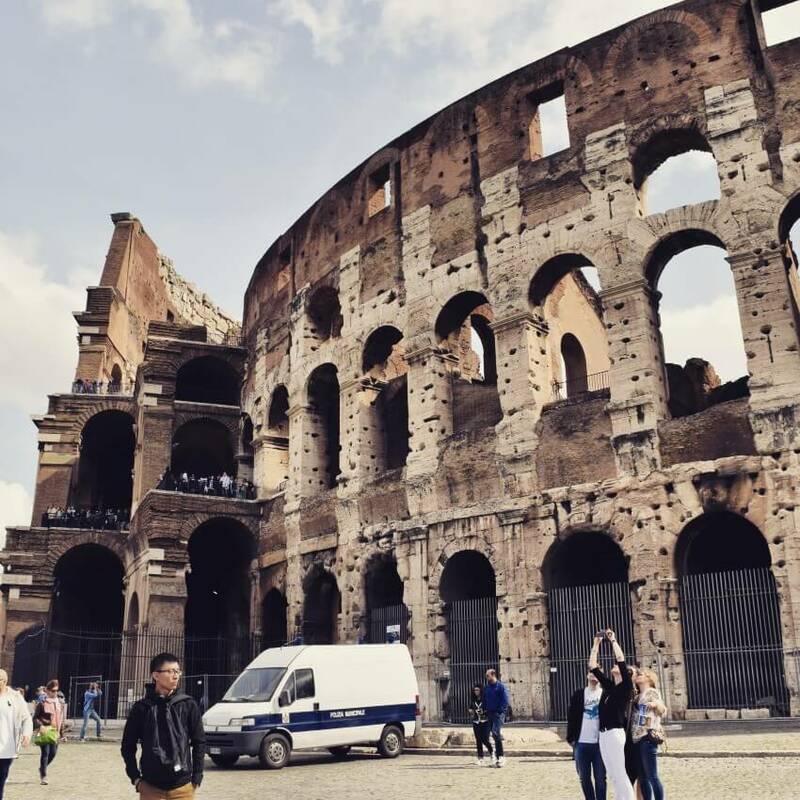 We chose to stay around Roma Termini Station as it is easy to commute within city from here and also to get train to other cities in Italy. After the bus from Airport dropped us at Roma Termini station we just walked around with our luggage to our accommodation. We stayed in two amazing Bed and Breakfast in Rome. This B&B is located around 800 meters from Termini Station in the street ‘via Castelfidardo’. One can reach within 10 minutes by walking. Its a small B&B which is very clean and comfortable. 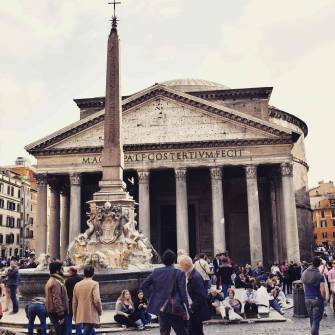 The owners of the property are very friendly, they will tell you each and everything about Rome, provides you with map and places to visit and eat. 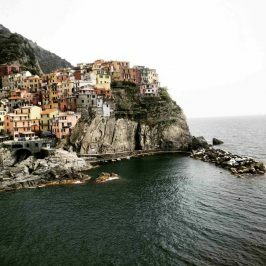 If this is your first visit to Rome we recommend this B&B as they will make your stay in Rome very easy. This property also has a small lift to take you to the rooms. Rooms are very clean and beds are comfortable. Breakfast is basic but enough to start your day. 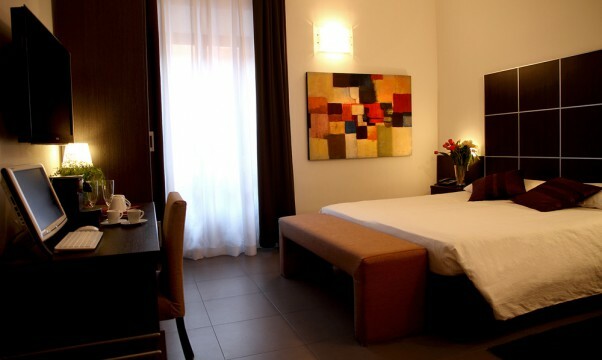 Rooms are also equipped with a computer, digital safe and a coffee machine. Fridge contains all necessary things. We stayed at this B&B on the last day of our trip. 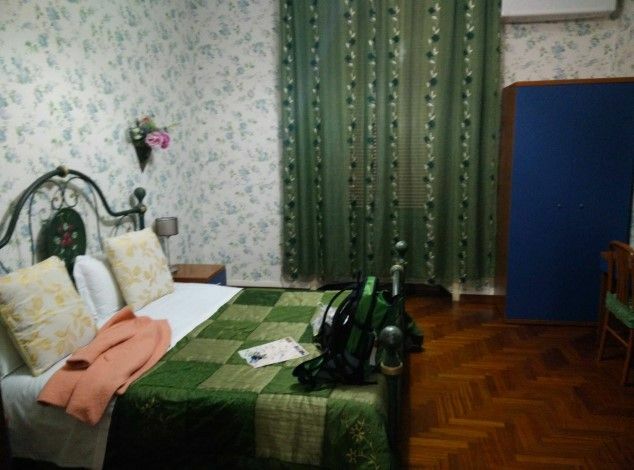 This B&B is located around 450 meters from Termini Station in the street ‘via Farini’. One can reach within 5 minutes by walking. 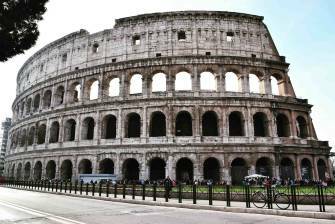 Its a very nicely managed B&B and they also provide you with all the necessary information about Rome. Rooms are clean and spacious. Care Taker is a very friendly lady. Rooms are big and bed is comfortable. Breakfast is basic. *Cost of accommodation depends on season. These all are situated next to each other. We utilized our Roma Pass here as it allowed us free entry to the combination of these 3 places and the lines were small for the pass holders. Arch of Constantine is free to see. The Spanish steps unique design and elegance has made it a popular place for artists, painters and poets. 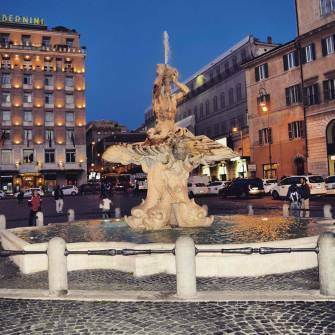 At the foot of the stairs, there is Barcaccia Fountain, which add on its beauty and liveliness. This is a wonderful place to sit and enjoy a meal from nearby restaurant. Unfortunately Trevi Fountain was closed for renovation at that time, but now its open. 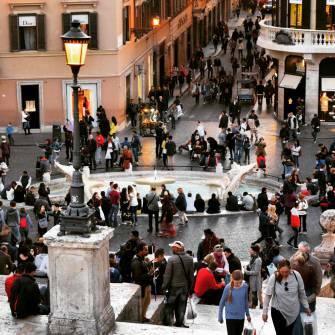 Its one of the lively square of Rome full of people and artists. You can see lots of painters in this area. Fontana dei Quattro Fiumi is situated in this piazza. Its an expensive place to dine in. The Vatican City State is surrounded by Rome and is the home of Pope. 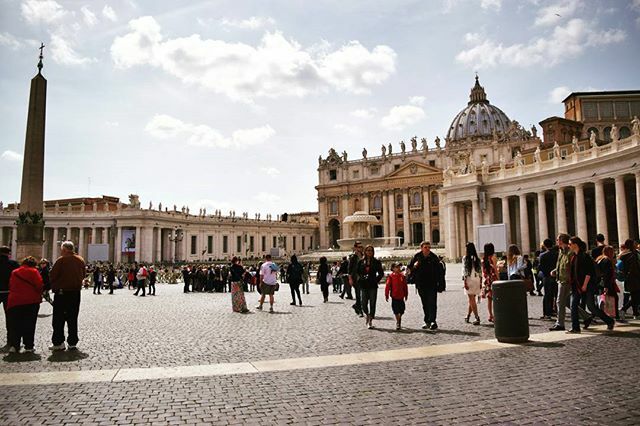 Its famous architectures includes St. Peter’s Basilica, the Sistine Chapel and Vatican museums. When you are in Rome last thing you should be worried about is Food. 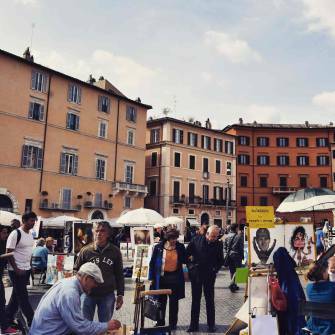 No matter you are vegan or meat lovers, Rome has it all. And off course Roman Gelato is mouthwatering. Some of the restaurants we visited are worth mentioning. This is a fresh pasta shop that sells various types of pasta. For the cost of Euro 4 you will get pasta dish of the day and a plastic glass that you can fill up freely with water/wine. Cozy Trattoria with homemade dishes and good selection of wines and also tables outsides. Best place to have Gelato in Rome. 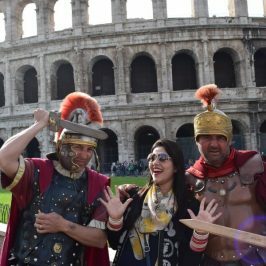 Buy Roma Pass if you are planning to stay in Rome for more than 2 days. 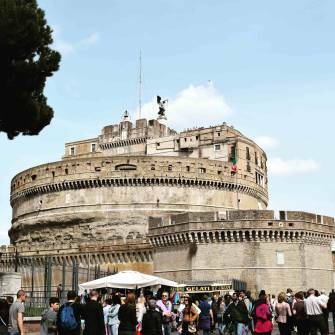 It covers your transportation cost within Rome which includes buses, trams & metro and also provide 2 times free entries to attractions. 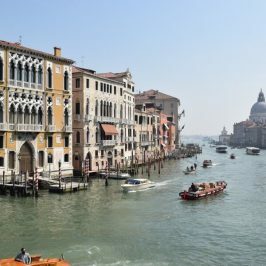 Cost of 3 day Roma Pass is 36 € and 28 € for 48 hours pass. If you plan to use lot of public transport than we definitely recommend this pass. If your stay is of longer duration than stay outside the main touristy area like city center to save more on accommodation. For your daily needs item its better to buy them from supermarkets like Pam and Conad, it will help you save money. 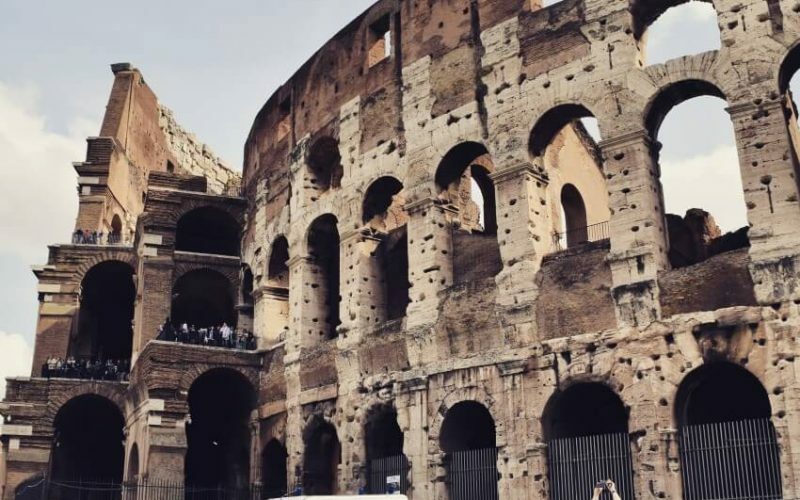 Make sure to be vigilant in crowded areas like subway stations, we heard many stories about pick pocketers in Rome but nothing happened with us personally. Stay away from touts when booking train tickets at the Termini Station. Just go to the information center or book at trenitalia website. Early you book the tickets cheaper you will get the price. 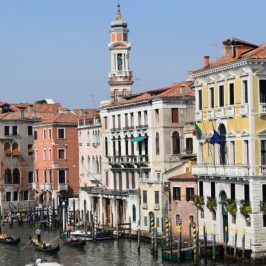 Follow our journey to Venice as a part of our Italy Trip.